Sowing the seeds of discontent or disconnection? 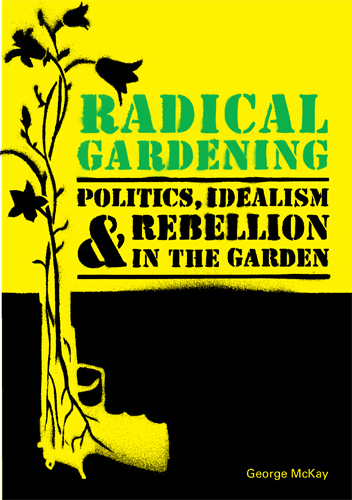 George McKay has written quite widely on alternative culture through music, protest and lifestyle, and as I've always wondered why gardening is taken so seriously in a predominantly urban society, I was intrigued to read his new book entitled 'Radical Gardening: Politics, Idealism and Rebellion in the Garden'. Gardening was something older people did when I was young, though I often copped for a fair bit of it myself, which was ok, especially on a sunny Sunday listening to Radio 2's Sunday love songs whilst I did the weeding. Today though, it seems to have quite a popular resonance with more younger people, along with do-it-yourself and various other craft hobbies, and especially in its urban guerilla form. This book sets out to uncover and celebrate moments, movements, and gestures of a people's approach to gardens and gardening, weaveing together garden history with the counterculture, stories of individual plants with discussion of government policy, the social history of campaign groups with the pleasure and dirt of hands in the earth, as well as original interviews alongside media, pop and art references, to offer an informing and inspiring new take on an old subject. George sets out his stall in his introduction where he aims to draw out out the way gardens are often a mediating form of social contestation over land, history and politics. He strongly believes there's more than the same latin origns of the words propagation and propaganda, and sees counterculture completely intertwined with garden history, and that visions of alternative social organisation invariably involve gardens or gardening somehwere along the way. "Gardens are peculiar, hybrid spaces: part private, part public. In one sense they appear to exist as part of the private realm:... they are conceived and constructed as partially private extensions of the home dwelling. Gardens are also located close to spaces within the home which have been conceived as private, domestic, 'feminine' zones - the kitchen and the dining area for example. On the other hand, the garden is an interface between the privacy of the house and the civic property of the street. 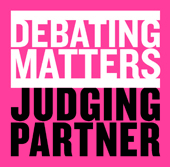 It is a space onto which others can look, examine and judge." Now there's definitely something in the garden being an interface between the private and the public realms, and is often the focus of discussion between neighbours or passers-by. When I moved to sunny New Mills we looked for a house with a garden, eventually moving into a semi-detached house with small gardens front and back, where the adjoining house was separated by a privet hedge. As our relationship with adjoining neighbour has blossomed, so the hedge was replaced with open railings (with gate for the postman to cut between the houses), put in by ourselves and opening into our property to avoid any possible irritation with enchroaching the neighbour's space. Our neighbour very kindly comes round to cut our side of the hedge at the back when he's cutting his own side, though asks us first. We also have offers from several neighbours to help us sort the back garden after some building work has left it looking a little shabby. So yes, I get the garden as interface thing, and even that there's an expectation or hoped for standard that fits with your neighbour's property or lifestyle. The objectification of those spaces and endowing them with particular properties, such as being 'feminine' though is one that I'm definitely uneasy about but glad it's flagged so early on, unlike my own back garden. And George also declares that he intends explain how we understand the garden "from public parks to allotments, squatted community gardens to the 'polemic landscapes' of peace or fascist gardens, as well as the 'defiant' garden'". Lastly by theme, George concludes by saying he'll deal with the activism side of things, particulalrly the "dynamic between [the] selfish and social gardener identified so presciently in [Thomas] Moore's utopian gardens [in Utopia]". 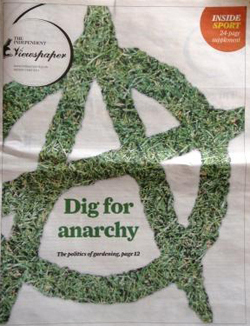 The book moves from a focus on the "public and outward-facing politics of gardens" to being "more concerned with the grassroots and personal politics of the garden", which neatly maps the changes in big issue and more societal focussed politics of the early twentieth century to the more personal and behavioural politics of the late twentieth century. George McKay is Professor of Cultural Studies at the University of Salford. His books include Senseless Acts of Beauty: Cultures of Resistance since the Sixties, DiY Culture: Party & Protest in Nineties Britain and Glastonbury: A Very English Fair. He is also co-editor of the academic journal Social Movement Studies: Journal of Social, Cultural and Political Protest (Routledge), as well as a fairly frequent contributor to BBC radio. He has appeared on numerous television programmes, and written for publications such as the Guardian, Independent, and New Statesman. He lives in Lancaster. Note: George McKay will be speaking about his book and his views of the role that gardening has played in politics and rebellion. This will be part of the wider Salon discussion entitled 'Crafts and gardening: the new frontiers of radicalism?' on Monday 19 September.